GREETINGS....and Thanks For Your Interest! In the event you are planning a career as an airline pilot with a major air carrier (or simply are interested in air carrier operations and flight), we are pleased to invite your participation in a unique opportunity taking place: the Airline Training Orientation Program (ATOP). Most pilots-in-training at aviation colleges or major flight schools are unable to "get a taste" of what it is like to train and fly as an airline pilot before a significant investment. 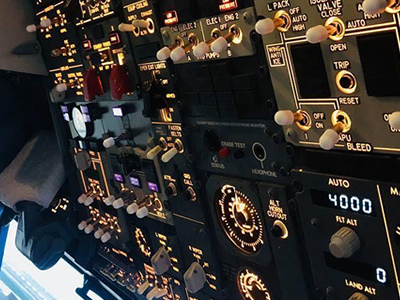 Additionally, pilots already employed in corporate, military, or general aviation but looking toward an airline flying career ordinarily have little chance to come in contact with the culture of a major airline prior to an interview. ATOP offers that experience at an affordable $495.00 for the two day course (excludes travel, lodging, and meals). "Test Drive" Your Career: First and foremost, ATOP is career education. No matter what your aviation background, if you hold at least a Student Pilot Certificate, have 15 hours of airplane pilot time, and have an elementary understanding of "ILS" approaches, you are welcome. Sixty percent of ATOP students are in the early stages of their careers, are enrolled in pilot development programs at flight training schools and universities, have 100-1000 hours of flight time, and desire to sample the air carrier training environment as a basis for making career decisions. Resume Enhancement: To position themselves as "added value" candidates in the job search, ATOP graduates may claim in their resumes, "Two Day Initial B-737/A-320 Familiarization Conducted at American Airlines Flight Academy/JetBlue University by ATOP, Inc." As Dwight Jeckel, a Regional Airline Captain says, "The only item highlighted on my resume when I was interviewed was the ATOP. He was most impressed with the fact that I had advanced systems and airline procedures indoctrination." True B-737 or A-320 Introduction: In the two day period, ATOP pilots learn the operation of every cockpit switch and system. Kevin Clark, a captain for a major airline, was ATOP's first graduate to be hired by an all 737 airline. He says that, "The ATOP helped me in the interview. When the recruiter noted my B-737 experience and asked me some questions about the airplane, I was able to speak intelligently about the machine." 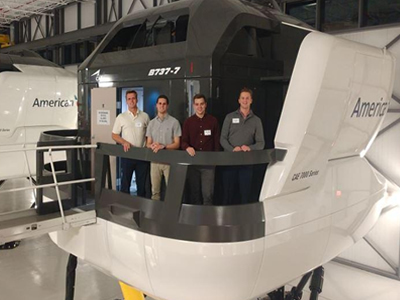 Instructors at Flight Training International, a B-737 type rating school, have stated that they can identify an ATOP graduate because they are "ahead of the game." The ATOP is inspired by major airline learning techniques. ATOP pilots are introduced to airline teaching styles, manuals, and procedures. Throughout the two days, ATOP participants will have ample opportunity to informally network with flight personnel and speak to training center management as they visit the class (on a time-permitting basis). Additionally, an optional airline career and interview briefing is included in the ATOP. Although operated independently, ATOP is recognized for it's mission to educate. Captain G. Moore, an interviewer for a major airline, has said to ATOP pilots, "Your taking the ATOP speaks well for you. We like to see that a person invests in himself and his career." Whether an aspiring aviation professional at a training institution such as Embry-Riddle, an academy, or the local airport flight school; a flight officer for the regionals; a military aviator; a corporate pilot...or even an average "Sunday Pilot"...you will find that the ATOP is unique. There is no other experience available today that will put you directly in touch with your dreams of flying for a major airline for two full days, including simulator time, for $495.00. 3. Two hours of Cockpit Management Procedures with B-737 or A-320 Cockpit Mock-ups. 4. 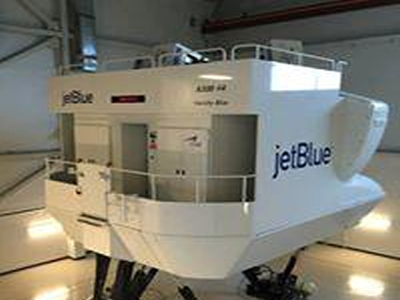 Fly the B-737/800 or A-320 "Full Flight" Simulators. One hour of B-737/800 or A-320 simulator time may be logged along with two ILS approaches and two landings. 5. B-737/800 or A-320 "Mini Manual"
SPECIAL OPTION! The FAR 61.31(g) "High Altitude Endorsement" may be earned for an additional $125 pending flight training device availability. Be certain to inquire when registering!